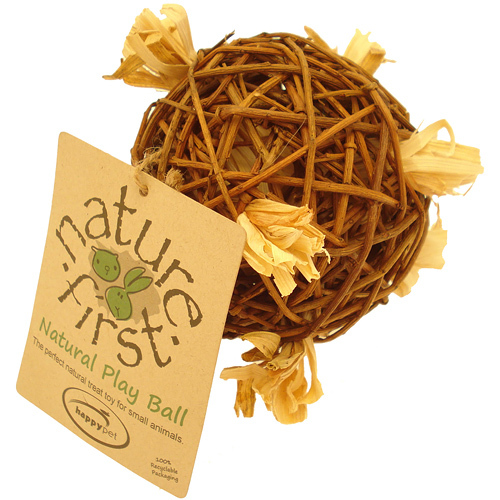 Nature Play Ball, the perfect natural treat toy for small animals. 100% natural toys, great gnawing and nibbling for small pets. Suitable for guinea pigs, hamsters, rabbits, mice and all small animals.